Abusive relationships are becoming increasingly common in today’s times. Their worst victims are the teenagers and young adults. Teenage is a vulnerable age when love and relationships become a prominent part of our lives. Sadly, this is also the age when many young adults fall prey to abusive relationships. Apparently, one who has not faced such a situation may feel that abuse in relationships is quite easy to deal with. You just have to leave the person who is hurting you and you will be alright. But if you know anyone who has been in such situations, you would hear quite a different story. First of all, it is very difficult to leave a person whom you actually love. Especially if he/she says that they love you just as much and apologise or ask for forgiveness every time they hurt you. Sometimes people do not even realise that they are in an abusive relationship. They make excuses like, he/she just lost their temper, it was a one-time-only accident etc. Truth is, abuse in relationships only get worse with time. So, how do you know if you are in such a relationship? People in abusive relationships often experience extreme jealousy or anger from their partners. They have to answer for every moment that they spend, away from their partner’s eye. Small issues and problems result in a physical fight with the abusive partner hurting the other. 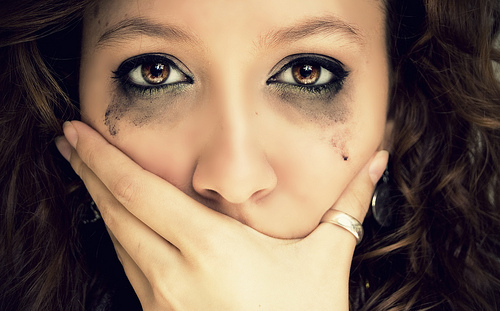 Abuse however can also be emotional and sexual too. People in relationships of this type often draw themselves away from their friends and family. They prefer to stay on their own and often have visible marks of physical violence like bruises or cuts on their body. Moreover, if asked about them, they make excuses that do not seem viable at all. The first thing that one must do to get out of such a relationship is to be strong. If they are suffering from low self esteem then they should confide in a friend who can help. But often we see that people do not want to get out of their relationships despite of the immense pain. The problem with the abused one in such relationships is that they often find such erratic behaviour (to put it lightly), from their partners flattering. The jealousy and extreme possessiveness that their partners show towards them make them feel that they are important for him/her. In other cases, people have a tendency to blame themselves for their partner’s abusive behaviour. They feel that they have brought it on themselves by doing something or saying something. In order to stop getting tortured and hurt, the people need to wake up and face their problems. If someone claims to love you and yet hurts you physically or otherwise every time ( and I am not talking about the sense of being let down or mildly hurt, which is normal in every relationship) , then you don’t need that love. There is nothing to be proud of in saying that your partner loses his/her temper and hits you if you forget to tell him/her where you have been for the last ten minutes. That’s not love, that’s just crazy. Remember that if you don’t respect yourself, no one else will either. If your partner is abusive, it is definitely not your fault. So stop telling yourself that you are to blame; pack your bags and leave him/her. I know that it is easier said than done. But there is a limit to how much abuse one can take. Abusive people don’t just change overnight just because they say they are sorry. The longer you stay, the worse it will get. However, if your partner threatens to hurt you or himself in case you leave, take help from the social organisations. Tell your family what you are going through. Remember, you are not in this alone. There are a number of organisations which would be happy to lend you a helping hand. There really is nothing romantic about suffering unnecessarily. So put an end to it now. If I really respect and love my self above all, I will not tolerate any type of abuse. Cultivate that sense of self worth. It is the only asset that will help one in living a life of dignity.